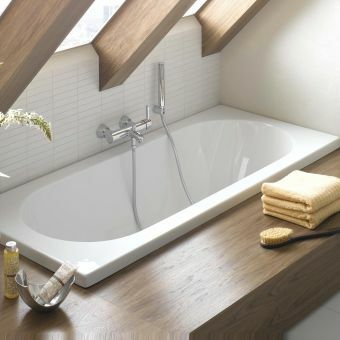 Meticulously designed down to the last detail, this bath represents a style which has become popular again, and for good reason. 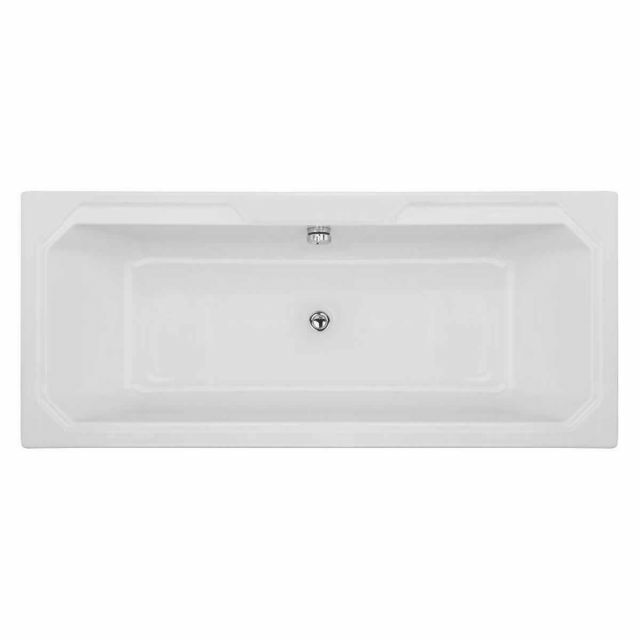 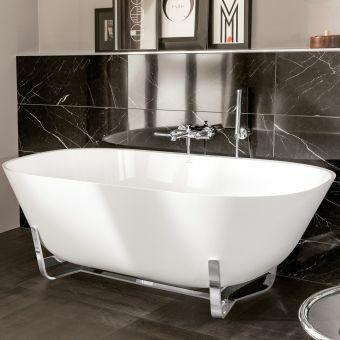 The Art Deco angular detailing on the deck and wide superior-grade construction of this bath represents great value for money if you are looking for something that has style as well as flair. 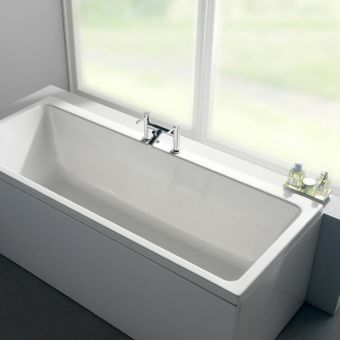 The Bayswater Bathurst Traditional Double Ended Bath is part of Bayswater's bath stable that also includes a comparative single ended bath. 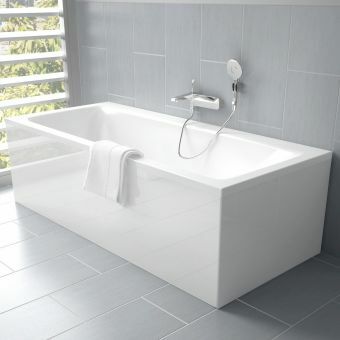 The angled corners of the bath give it a distinctive style and allow for plenty of room to install a bath mixer or showering set. 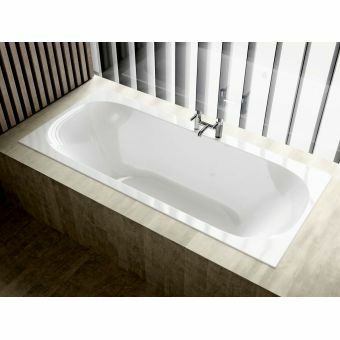 Its relatively large size at 1800mm allows it to accommodate two people easily and with sloping ends, you can relax in peace for a long warm soak to help relieve the stresses of the day. 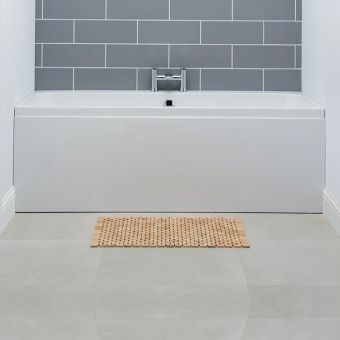 With simply adjustable feet to hand, installation is straightforward and presents the perfect opportunity to tile the front of the bath instead of using the usual acrylic panel. 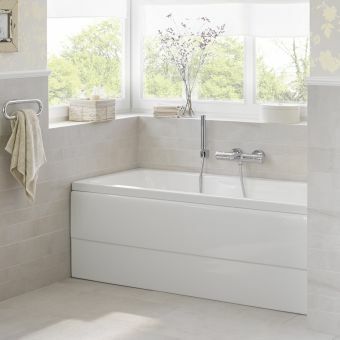 This bath will transform your bathroom and create a haven of relaxation.